WINGS, BEER & FOOTY – WHAT A COMBO! 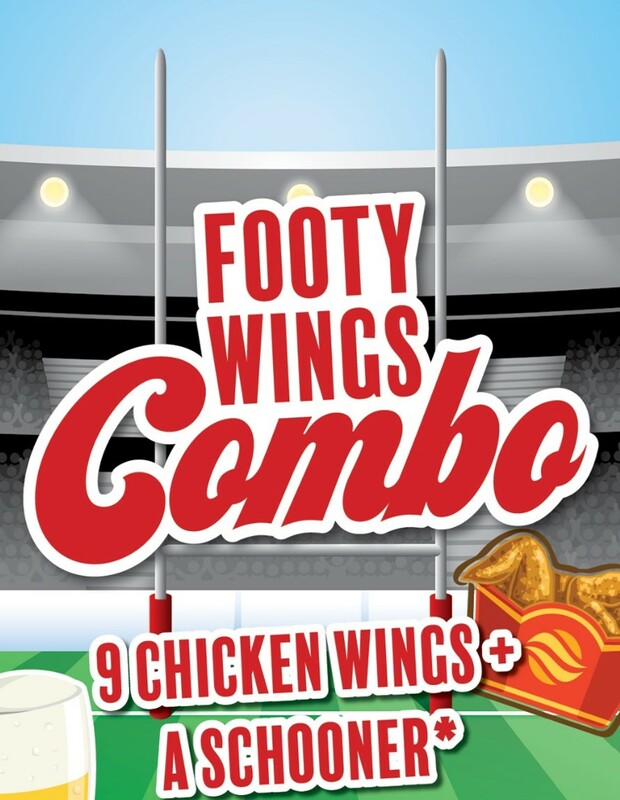 Fuel up this NRL season with our $20 Footy Wings Combo! Enjoy 9 Chicken Wings (Choice of Hot Chilli or Honey Glazed) + a schooner of selected Aussie tap beer for just $20! Available from Thursday to Sunday during the footy season. To find out what sports we’ll be broadcasting on the big screens each week, make sure to us on Facebook or contact us. It is an offence to supply liquor to a person under the age of 18. Penalties apply.